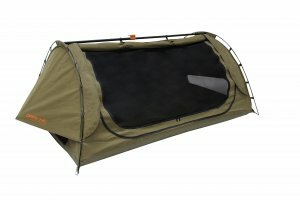 Swags are the ultimate Australian camping accessory with their reputation of holding up in all weather conditions. 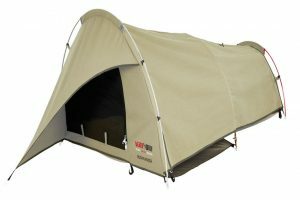 We have reviewed the most popular swags in Australia from a variety of brands including Darche, ARB Skydome, Adventure Kings, Southern Cross and Oztrail and conclude the Darche Dusk to Dawn is the best swag currently on the market. Traditionally swags come in single sizes, however now we are seeing more people buying double or dome styles swags. The advantages of swags over traditional tents include; an inbuilt mattress (usually 50mm to 70mm), quick set up and the ability to fold back the canvas for a view of the stars. Prices of swags in Australia range from $100 AUD to $1,000 AUD depending on the size, brand, quality and features. Darche are an outdoor equipment company who pride themselves on designing and manufacturing innovative, super high-quality, feature-filled products. The Dusk to Dawn swag is quickly becoming an Australian favourite with it’s well-thought, great looking design, and high quality build and materials. We’re massive fans of this swag and are happy to award it our top spot. Our number two pick for best swags is the Black Wolf Bushranger Swag. It's an awesome mid-priced option perfect for those planning on taking camping trips mostly in summer. With a 300 GSM canvas, it is suitable for most Australian weather conditions, offering great weatherproofing and breathability. 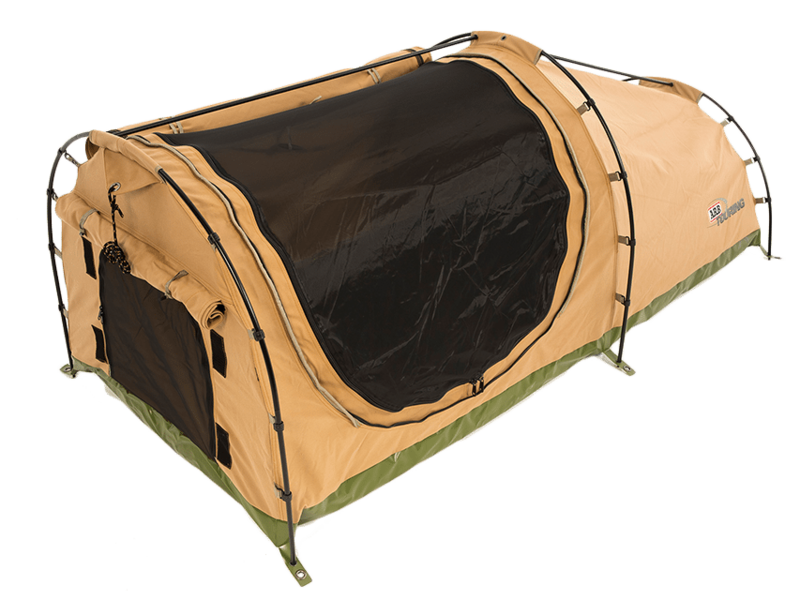 Black Wolf manufacture a large range of quality camping products and stand by them all with a lifetime warranty. 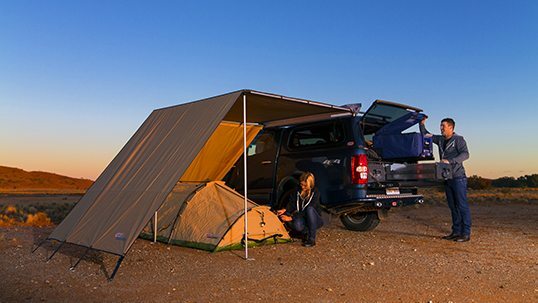 The ARB SkyDome swag is a high quality, well-designed swag suitable for all Australian weather conditions. 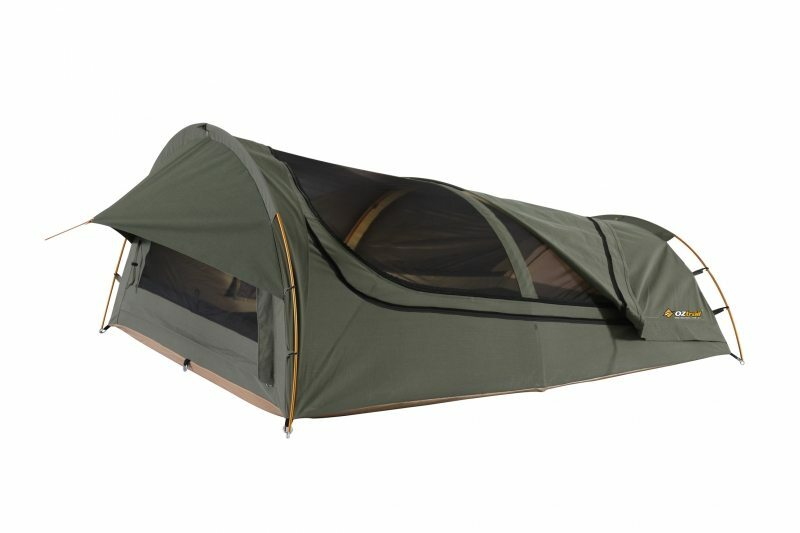 We really like the spacious dome shape combined with the thick 450gsm canvas that provides superior waterproofing. 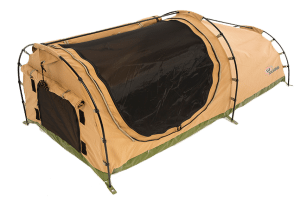 Both the single and double size swags have plenty of storage and a comfortable 75mm in build foam mattress suitable for all terrain types. ARB generally has a better warranty and post-purchase support compared to their competitors due to their strong dealer network across Australia. An amazing swag and one of the best options on the market. A super popular Australian swag and in our view the best value of those we review, the Oztrail Mitchell Swag is a great all round option. 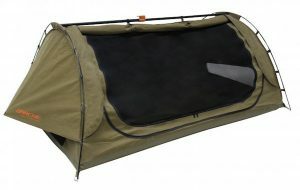 It's perfect for those who are planning summer camping trips or live in the more tropical parts of Australia. This swag has great ventilation for those warm nights and also allows you to roll the entire canvas back giving you a view of the stars. With over 35 years making swags, Southern Cross is well known for their high-quality products built specifically for Australia’s weather conditions. These swags are Australian made and priced at the higher end of the market, with the larger models costing almost $1000 AUD. 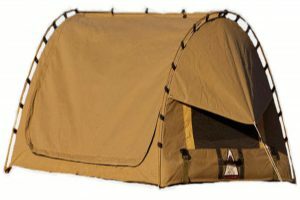 They are therefore targeted more at seasoned campers or those with deeper pockets, however, take comfort in knowing that this is one of the best swags on the market and an icon of Australian camping. 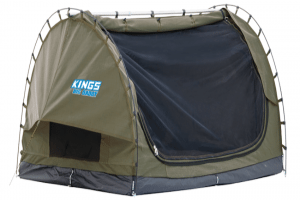 The Adventure Kings Double Swag is one of the best value swags on the Australian market. It has plenty of space and can be set up by one person in a matter of minutes. The 70m mattress is comfortable and having the ability to fully open the swag down both sides is a real plus. 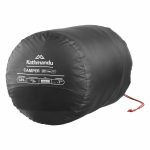 The only downsides with the Adventure Kings Swag are the difficulty of packing it up with one person and the lack of space inside compared to dome-shaped versions offered by its competitors.